About: Although Roman Chamomile essential oil is extracted from small almost subtle yellow flowers with bright white petals, its aroma, influence, energy, and potential is huge! 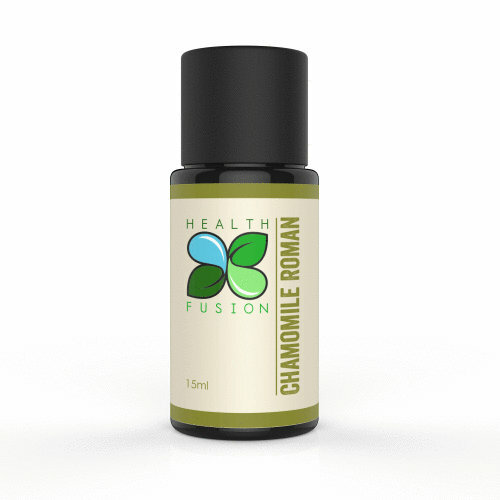 Chamomile Roman essential oil is among the most distinguishable, pleasant and inviting aromas in aromatherapy. Although not the same deep and vivid blue as German Chamomile and although its aroma is also drastically different, their abilities and uses are strikingly similar. Both types of Chamomile are commonly found in relaxing or calming blends. Note: Health Fusion oils are potent, pure, products and must be used with knowledge and care. Keep out of reach of children and dilute before use. This information is not meant to treat, diagnose or cure any disease or replace your healthcare professional. These products are meant for external use only.